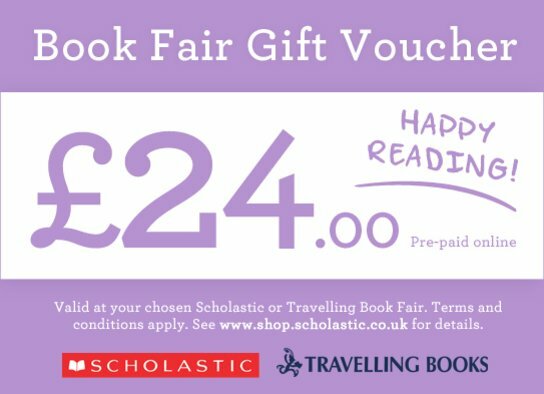 Book Fair Gift Vouchers are the simple, secure way to ensure your child gets the books they want when the Scholastic or Travelling Book Fair arrives in school. Perfect for cashless schools, gift vouchers are pre-paid and can be given to your child if you can’t make it to the Book Fair. It’s a great way to save money too. Buying a pre-paid gift voucher gives you 20% extra free to spend at the Book Fair – meaning you get a £24 voucher for only £20.